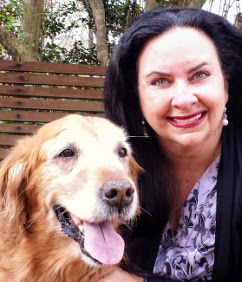 I'm Dr. Karen Lord Rutter and the author of Northbounders: 2,186 Miles of Friendship, a story of Copper, the Golden Retriever, and Blast on their Appalachian Trail adventure. I hope you will find yourself at home here on my website and enjoy the varied content. My goal is for you, the reader, to find thoughts, experiences, and ideas to enhance your life and your reading pleasure. I also hope that educators will embrace the FREE resources for use with the book, Northbounders, to engage students and begin dynamic conversations. Most of all, I hope each of you finds something that will awaken your sense of adventure, remind you of the joys of living, renew your purpose, and challenge you to enjoy life to the fullest. The Appalachian Trail is a good place to start! It is one of many ways to get out and enjoy the company of a best friend, a dog, or a good book. Copper's story was written to be enjoyed by all ages and is meant to inspire and empower you to pursue your dreams. The feedback from readers from age 8 to 86 inspires me and I look forward to hearing from you. Be sure to visit my blog, updated regularly with features that may be of interest to my readers. If you have questions, feedback, or wish to schedule an event for business, schools, community gatherings, or a charity fundraiser, contact me at karenlordrutter@gmail.com.